Should We Be Speaking In Tongues? This question confronts Christians today as it never did before, because the tongues movement has long since burst its confinement in Pentecostal circles and has infiltrated to nearly every segment of professing Christendom. Because it lacks any organizational structure or uniformity in principle and practice, the tongues movement is not easy to define. Adherents at its fanatical fringe believe that speaking in tongues (that is, using sounds that are unintelligible to others) is the only valid evidence to prove that one has received the Holy Spirit. They also believe that those who do not so speak in tongues are not Christians in the full sense of the word. More moderate spokesmen believe that tongues-speaking is only one of the spiritual gifts-and therefore not to be expected in the experience of every Christian. In all fairness, it should be stated that the vast majority of tongues-speakers claim allegiance to Jesus Christ as Savior, and to the Bible as the inspired Word of God. However, adherents can be found in the Roman Catholic as well as in liberal Protestant churches, and even in some non-Christian religions. Sometimes people without any regard for God or religion can be found pursuing psychic sensations through an experience of tongues. What does the word "tongues" mean? What is the purpose of tongues? 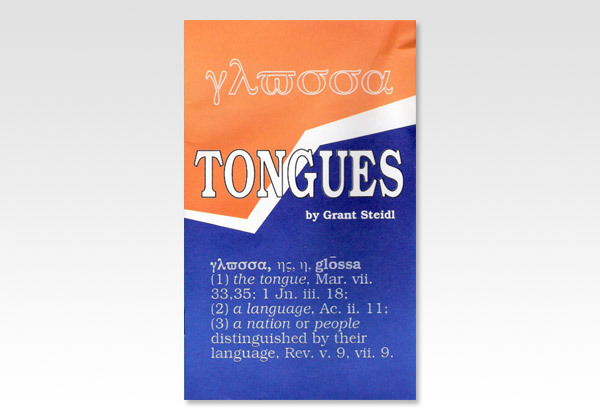 What does the Bible say about tongues? Is the gift of tongues a sign of Holy Spirit power? Here are some scriptural answers to oftenasked questions about the gift of tongues.